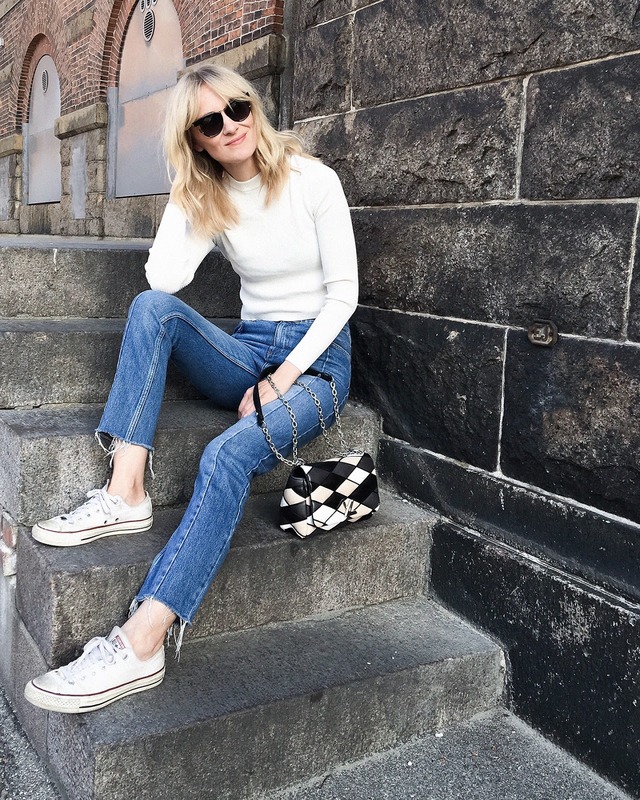 So I am so happy to share a post inspired by Farfetch about some great style tips by the amazing stylish Marie Hindkear from Blame it on fashion I mean who has not heard about it ?! 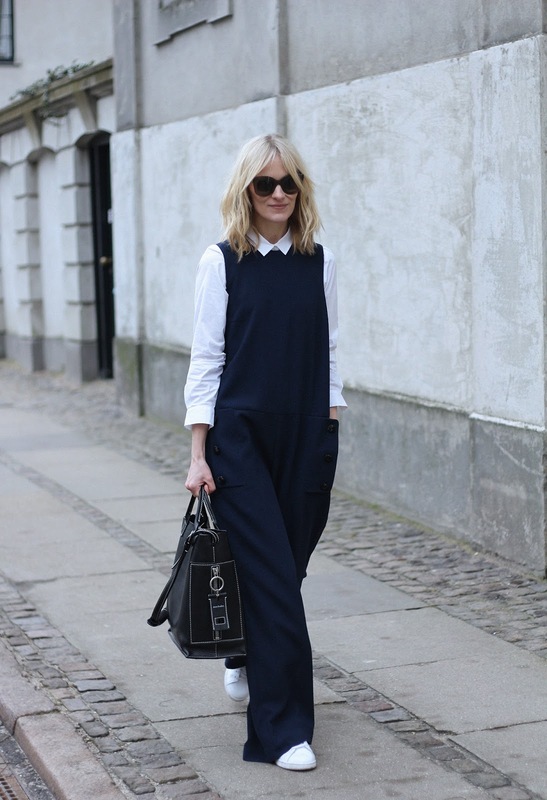 Marie Hindkear lives in Copenhagen, love Parisian style and rocks a contemporary and simplistic style. A mix of high and low pieces. I like to think of my style as being effortless, contemporary, Scandinavian, often with a boyish twist. I love playing with textures and silhouettes. What is your absolute favourite item in your wardrobe ? A patchwork-like Louis Vuitton bag that makes even the simplest outfit stand out. I especially love wearing it with denim or a plain jumpsuit. Why do you think style is important ? Does being a fashion blogger impact the way you dress ? Definitely. I love to inspire others, and being a fashion blogger surely makes me think more about how I dress. I'm not trying to reinvent the wheel and I like my style to be wearable and accessible. If you want to succeed and inspire as a fashion blogger I think it's important to be authentic. Do you plan your wardrobe in advance for each season ? And if so, how do you go about planning it ? I do a lot of trend and shopping guides for my website and therefore research the trends in advance of a new season. I don't make myself a shopping list but it helps me locate my favourite trends and pieces. I usually update my wardrobe with a few statement pieces that works with what I've already got in my closet. And then new shoes. How do you style a look for special occasion ? Do you start with a 'look' in mind, or do you style your look around a key piece ? Most times I style my look around a key piece that I've decided to wear for the occasion. It can be a dress or a skirt, or even a pair of shoes. I recently went to ELLE style Awards here in Copenhagen, and my look actually started with a pair of silver statement earrings by Miami. I was supposed to wear something completely different but then I got the earrings, and ended up changing the entire outfit because of them. What is the best style advice you have ever been given, read or heard ? Coco Chanel once said that it's always better to be underdressed. I totally agree. She also said that before leaving the house, look in the mirror and take one thing off. I keep that in mind when in doubt if I've accessorised a little too much. As a personal style blogger, what words of wisdom would you share with other fashion lovers ? Be genuine and have fun. She has a very casual but cool style. I love it. Exactly what i was meant to say!! Wow I like so much her style!! Great post. Her style is unique and inimitable. Such great style here! Yes to genuinity! I like how relaxed and puffy the style is <3 I would def wear that. Loved this post, so informative!! Her style is just awesome!! Amazing tips! Thanks for sharing this post dear! Nice looks ! I like your style. This is awesome. plain, simple, cool to look at !! Pretty, so informative. I love it!